Discover a little about Simon Lorkin’s restoration work. I’m proud to share my new short video that shows a little about what I do and how I came to be a restorer of dashboards and interior trim for classic cars. Classic Dashboards – Simon Lorkin from Simon Lorkin on Vimeo. 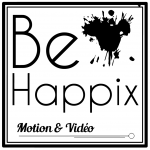 With thanks to Vincent of BeHappix Communication vidéo for his time, patience and expertise. My Story featured in Living France magazine.Like to own a piece of British motoring history? A very beautiful video ! Congratulations to all of you and especially to Simon !